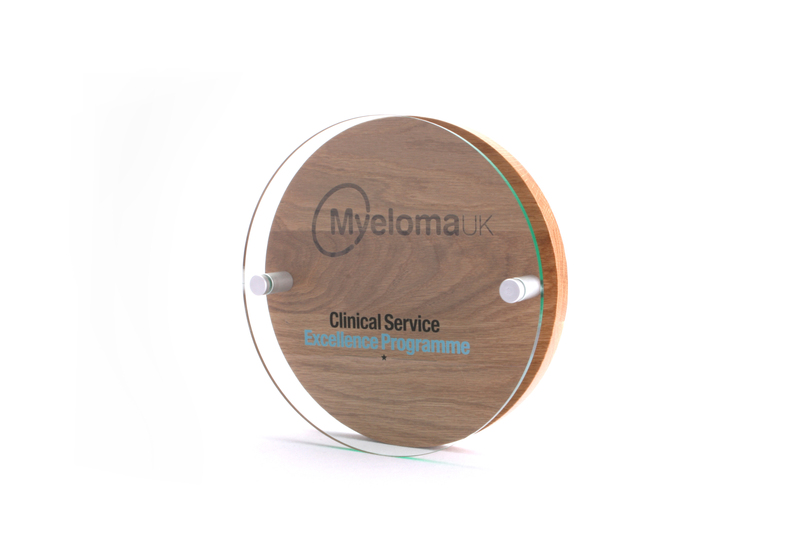 The Myeloma Plaque is a circular, wooden plaque, with an acrylic layer. We source FSC certified wood for our wooden plaques. This bespoke plaque has a classic feel with a contemporary twist, and utilised UV-printing technology for a custom print. With printing, we can create crystal-clear graphics. In this case, we printed colour-matched text onto the acrylic. We create both internal and external plaques. Find out more about Myeloma UK here.